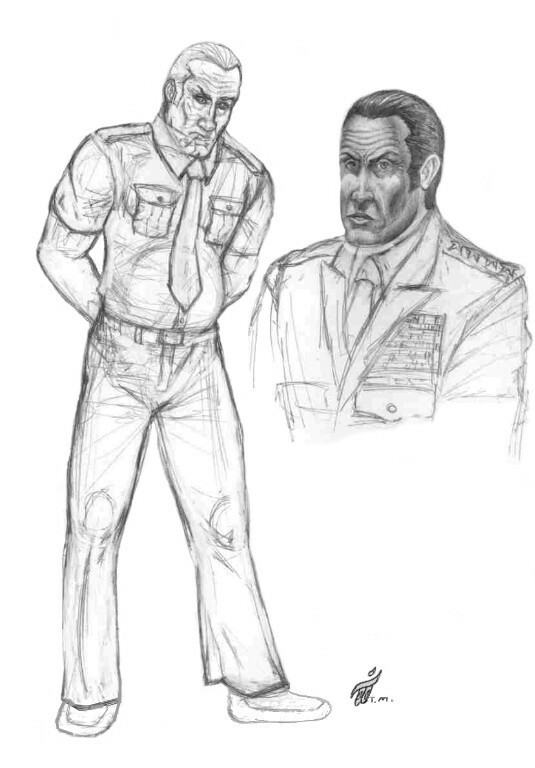 Note: These General Harry Faldwell Character Sketches reveal his hardheaded nature, as he is not someone who believes in UFOs or extraterrestrial beings. Harry is a no-nonsense, nuts and bolts kind of hard-headed top brass in Washington, D.C. He is also a top national security adviser to the President of the United States, and very patriotic to the countries well-being. Therefore, he has no reason to believe in UFOs or any of that fantasy land stuff, at least not at the start of his completely unexpected ensuing enlightening adventures. General Harry Faldwell is tough as nails and a special national security adviser to the President of the United States. General Harry Faldwell reluctantly discovers his hidden destiny is to help with an extraordinary ongoing off-world effort to stop Sen Dar, a power-mad extra-terrestrial human being from dominating Earth, and likely destroying it in the attempt. Most government heads, as well as the vast majority of humankind on Earth today, know nothing about this ongoing struggle for our planet’s survival that is taking place today hidden behind the scenes. However, a deeply classified hidden worldwide government comprised of an elite small group of people does control the elected governments on Earth. They do know the truth about the existence of extraterrestrials and their technology but they have been subconsciously manipulated without their consent or awareness to drive the future destiny of planet Earth in a destructive direction. Fortunately this is all being reversed. Much about that is further revealed in The Seres Agenda hidden truth revealing book. These General Harry Faldwell Character Sketches do reveal what his character is like at the start of his journey through the three-part hidden truth revealing adventures. Like Harry at the beginning of his awakening to hidden truth, each individual suspects something sinister is behind the direction the world is headed today. However, each individual can discover for themselves what has recently changed off-world that is beginning to change this negative destructive direction toward a permanent unexpected, uplifting worldwide transformation. You can recover or awaken your own hidden destiny by exploring books 2 and 3 that are written when they are officially published. 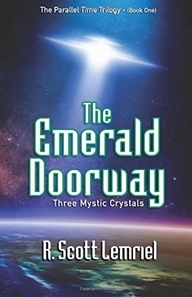 To begin this uplifting enlightening adventure, explore The Emerald Doorway (Three Mystic Crystals) published book one of The Parallel Time Trilogy series. You will go on an adventure unlike any you have ever imagined before, while you fly through the pages gaining up-lifting energy, and new insight into how profound our true purpose really is for being alive on Earth today. Buy The Emerald Doorway General Harry Faldwell Chapter 4 Excerpt A Battle of Wills Washington, D.C.
To discover more about General Harry Faldwell, this brave man who is about to be amazed beyond his wildest dreams, click on the provided links above to explore the Harry Faldwell Chapter 4 Excerpt – the battle of wills in Washington, D.C. scene between him and his fiancee Senator Judith Cranston. There, you can click on the link to obtain The Emerald Doorway (Three Mystic Crystals) – book one of The Parallel Time Trilogy hidden truth revealing books. Whos Dreaming Me Anyway Screenplay Synopsis – Right…Who Is? For latest updates, Join here!